England squash No.2 Laura Massaro suffered a surprise third round defeat at the 2019 JP Morgan Tournament of Champions. 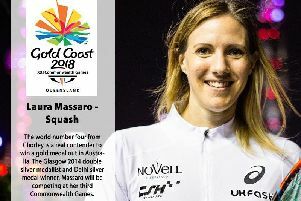 Chorley squash star Laura Massaro has moved up to world No.7 after the PSA Women’s World Rankings for January were released. 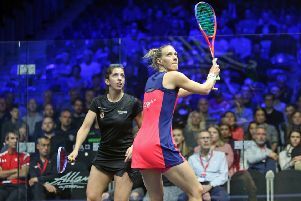 Chorley’s England No.1 Laura Massaro progressed to the quarter-finals of the FS Investments USOpen Squash Championships after she beat eight-time world champion Nicol David at Philadelphia’s Drexel University. 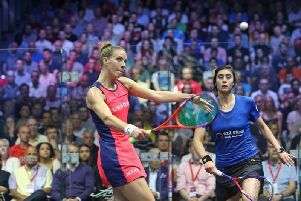 Chorley squash star Laura Massaro suffered a 3-0 defeat at the hands of Malaysia’s eight-time World Champion Nicol David in the second round of the J.P. Morgan China Squash Open held in Shanghai. Chorley’s 2016 and 2017 tournament winner Laura Massaro saw her hopes of a third consecutive title at the season-ending ATCO PSA Dubai World Series Finals come crashing down. Defending champion Laura Massaro is hoping to make it a hat-trick of wins at the squash World Series Finals at the Emirates Golf Club in Dubai this week. Chorley’s defending champion Laura Massaro has been eliminated from the 2018 Allam British Open after falling to a 3-2 defeat against World No.1 Nour El Sherbini inside Hull’s Airco Arena on semi-finals day. Laura Massaro is still on course to lift a third Allam British Open squash title. Defending women’s British Open squash champion Laura Massaro is through to the second round of the 2018 Allam British Open. Defending Allam British Open women’s squash champion Laura Massaro is hungry for more success on home soil when the tournament takes place at Hull’s Airco Arena this month. 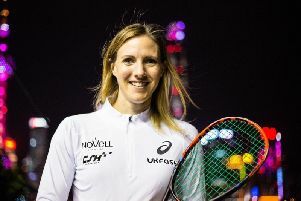 Chorley’s squash world No.7 Laura Massaro is into the last eight of the PSA World Series El Gouna International on the banks of Egypt’s Red Sea. Chorley squash star Laura Massaro is one win away from a shot at Commonwealth Games gold. 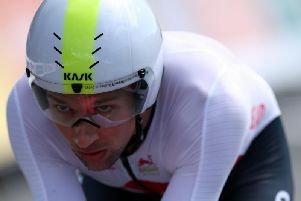 Ian Bibby has already turned his attentions to the Commonwealth Games road race after being denied a possible time trial medal following a series of mechanical issues. Laura Massaro’s dreams of a singles Commonwealth gold are at an end once again and the Chorley squash star admits she is struggling to find an answer to her new nemesis Tesni Evans. 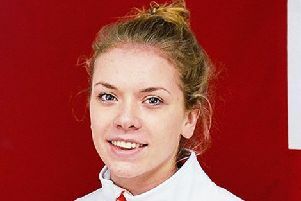 Chorley swimmer Anna Hopkin got very little sleep after her first evening at the Commonwealth Games – the 21-year-old intends to get a much better night before a maiden individual final on Saturday.